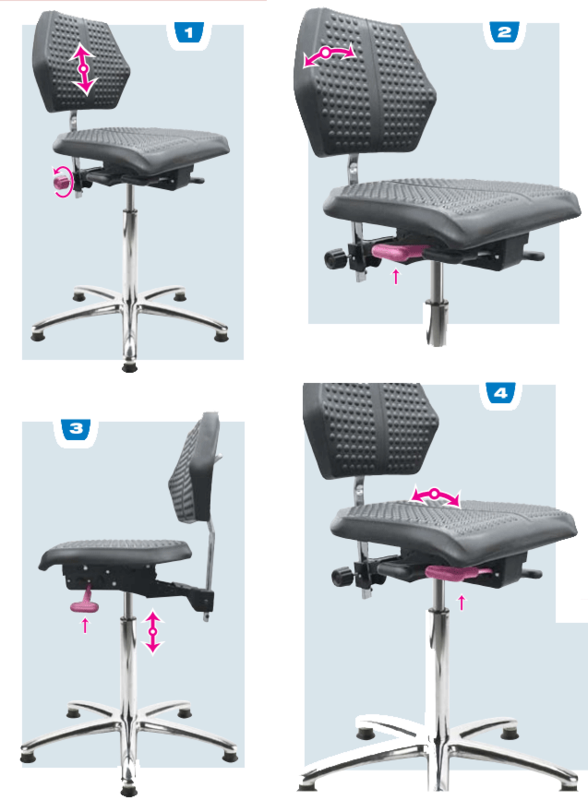 The ErgoPerfect COMFORT is a high-end chair for people who will not compromise on comfort and an ergonomically sound working position. With six ergonomic adjustments and soft Polyurethane upholstery, the EP COMFORT redefines what a true ergonomic chair is. Optional glides are available instead of casters. A foot ring is available for maximum comfort. 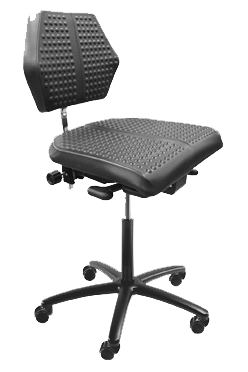 A high-end working chair with a variety of working situations. 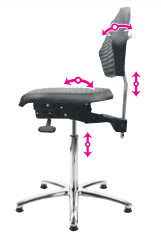 Simple manual operation of adjustment possibilities. Bubble-seat produced in soft polyurethane which increases the blood circulation. 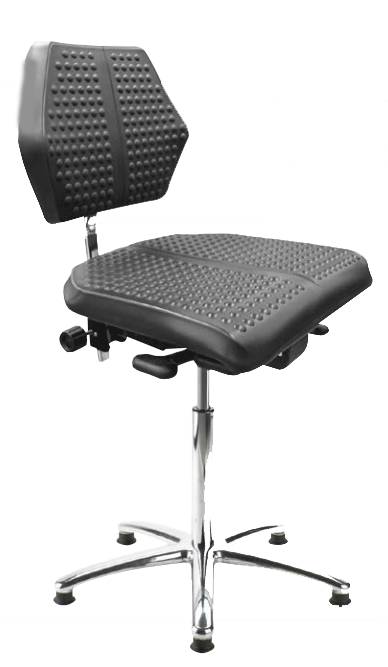 Black-painted Steel seat mechanism for manual, step-less adjustments of back rest height, back rest tilt with permanent contact, seat angle and reclining/lockable tilt action via levers. Seat height adjustment by means of a safety gas cylinder lift. Gas cylinder Black, seat height 19" - 26"
SKU: PC-035 - Tall Glides - Size: 2"
SKU: 70000039 - ESD Glides - Size: 1.25"